A senior Chinese official has urged Zambia not to panic over current slump in copper prices, saying the Asian nation was still geared to import more copper from the southern African nation, the Post of Zambia reported on Friday. 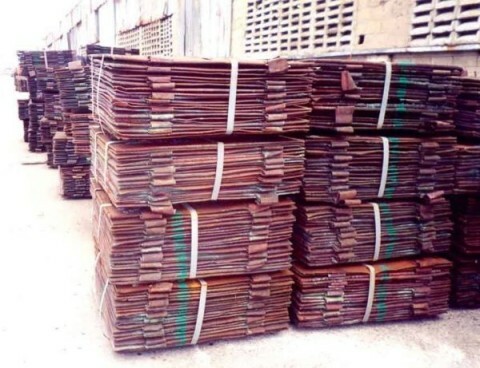 Copper prices have slumped on the international market largely due to demand by China which accounts for about 40 percent of world copper imports, placing countries like Zambia which are dependent on the metal in a tricky situation. Copper prices have dropped 13 percent this year to the lowest level since 2010. The fall in copper prices, which accounts for about 70 percent of Zambia’s foreign exchange earnings, has seen the local currency, the Kwacha, depreciating significantly since the start of this year. But Chinese Ambassador to Zambia Zhou Yuxiao said Zambia should not panic as metal prices should soon stabilize as a peak in China’ s economic growth would support demand. “Our economic growth rate will not fall to two or three percent; we will keep it at around seven and eight percent and that should be good to force us to import copper and other minerals. So Zambia should not panic or cast a negative picture about China’s economic slowdown,” the Chinese envoy was quoted as saying by the paper. According to him, the drop in China’s economic growth was a plan aimed at conducting reforms since the economy was growing ” too fast”. “This economic slowdown is for us to have adjustments in our economy. We want to carry out reforms because when the economy is growing too fast as it used to, reforms are difficult to carry out,” he added.